Multi-millionaire Geoff Hunt wants to help disadvantaged youth take to the seas. If multi-millionaire Geoff Hunt has a mantra it’s that “money never fixes the problem”. But he believes sailing just might. 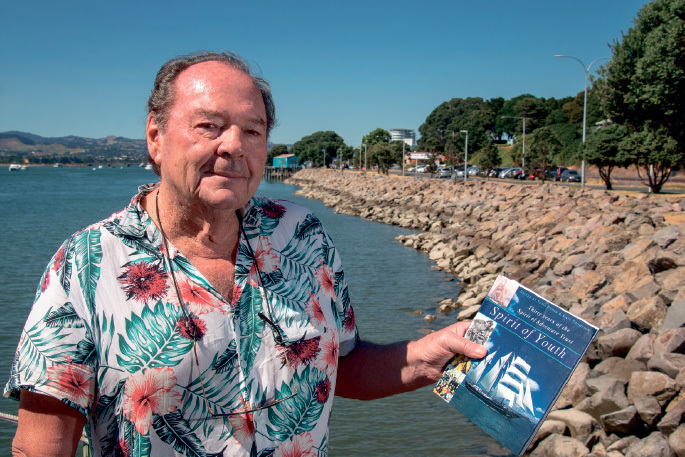 The Auckland property developer and keen yachtsman says it’s the most valuable advice his father ever gave him, and is something he has called upon often, having weathered his share of financial ups and downs. “I’ve gone from $12 million to 27 cents, and I’ve learnt it’s getting through with family and mates that creates a change,” says Geoff. The other ‘teacher’ in his life has been the ocean, which he says has imparted many life lessons. Sailing has taken Geoff around the world, opened doors and, he believes, kept him out of jail – and now he wants to give back and help disadvantaged youth by putting them at the helm. Geoff has established a sailing trust to give young people, who would otherwise not get the opportunity, to experience sailing - his fleet including two ex-America’s Cup yachts. “Sometimes they just need a mentor, someone who can motivate them better than their parents,” he says. The trust, which is in the process of being finalised, currently has six yachts, including NZL 20 in Auckland, infamous for the bowsprit scandal in the 1992 America’s Cup challenge, and NZL 14, a former America’s Cup trial yacht which is moored in Queenstown. Three Etchells are earmarked for Tauranga while the sixth, a kauri sloop Geoff purchased nearly a decade ago and which is based in Auckland, has its own tale to tell. The sloop belonged to Brian Johnstone, whose son was Christopher ‘Marty’ Johnstone, or “Mr Asia”, as he was known for his part in the 1970s international drug trafficking saga. Marty had sailed on the boat as a boy, and Geoff muses that the boat is being given a second life in helping others who are at risk of losing their way. However, what motivated Geoff to purchase the yacht was not its chequered past, but its nostalgic value, as it shares the same designer – Knud Reimers – as his own childhood boat. “It was a small sister ship to my father’s yacht,” he says, fondly. Dressed in shorts, a tropical print shirt, red suede Puma slides with gold lettering and dark sunglasses, Geoff has an air of Jack Nicholson about him. But it’s more than a passing physical likeness, it’s the maverick in him. On a recent visit to Tauranga Geoff bought a 9m Russian fishing boat for another “wellness” project in the planning, to help those suffering from anxiety and depression – an initiative inspired partly by his son, Ryan, who has Asperger’s Syndrome. “I was only in Tauranga 12 hours and I found a deal. No-one else would take it on,” he laughs. One of 12 children, Geoff had a privileged upbringing but his Irish Catholic Father, who started his working life in a grocery store at the age of 12, made sure his children learnt the meaning of hard graft. “We lived in a 12-bedroom house with a housekeeper and a gardener. My father ran a business with a staff of 300. He was a bit of an ‘extra-mile’ man. He was a tough guy, but very fair and very kind. He didn’t suffer fools easily. While Geoff’s friends’ fathers were doctors, surgeons and accountants, his father was an “Irish Paddy” whose entrepreneurial spirit rubbed off on him. At 14 he ran away to Australia – an expedition that was short-lived. “I knew a guy whose mother had left him a whole lot of half crown pieces ... I bought myself a pair of Levis jeans and flew to Sydney, but my brother saw me getting on an airport bus, so when I got to Australia the police were waiting for me. 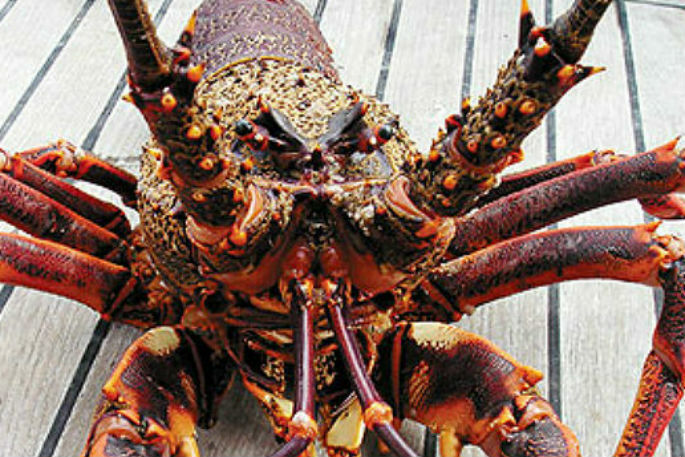 A couple of years later, having filleted his way through countless fish at a family-owned fish and chip shop, he returned to Australia, this time to Bondi Beach where he got a job on the slipway at the Cruising Yacht Club of Australia, rubbing shoulders with the likes of Rupert Murdoch and Alan Bond. His experience there, combined with the influence of a woman who he was dating, who was several years his senior, taught him a valuable life lesson. “It all came down to self esteem. I knew if I couldn’t be a good reader, writer or mathematician, I could still be a well-presented, ready-for-action type of guy.” He returned to New Zealand with a burning desire to take to the water, buying a 9m yacht in partnership with his father. “I would pull up alongside the wharf, and it made me feel like a worthwhile person,” says Geoff. As someone whose “no risk no fun” attitude has sometimes seen him sail too close to the line, Geoff says yachting was his ticket out of jail, opening up many opportunities on the right side of the law. A successful career in acquisitions, mergers and property has seen him own 25 yachts in his lifetime – and counting. He currently has three yachts, plus the six in the trust. “My father taught me about buying and selling companies. I’ve dealt with people who’ve had bank accounts since the 13th Century,” says Geoff. Geoff also has a knack for selling islands, having bought an island when he was 29, which resulted in a 30-year working relationship with international island dealer Vladi. But for all the glitz and glamour that the worlds of yachting and high finance have brought to his life, he is seeking something beyond the material - a legacy to leave his three children and to inspire positive change in young troubled lives. “Twenty-eight years ago my mother said to me ‘don’t be remembered for being busy’. You’ve got to take a step back and ask - what are we all here for?